With Christmas just around the corner, you may be thinking about your gift budget. I know I am. 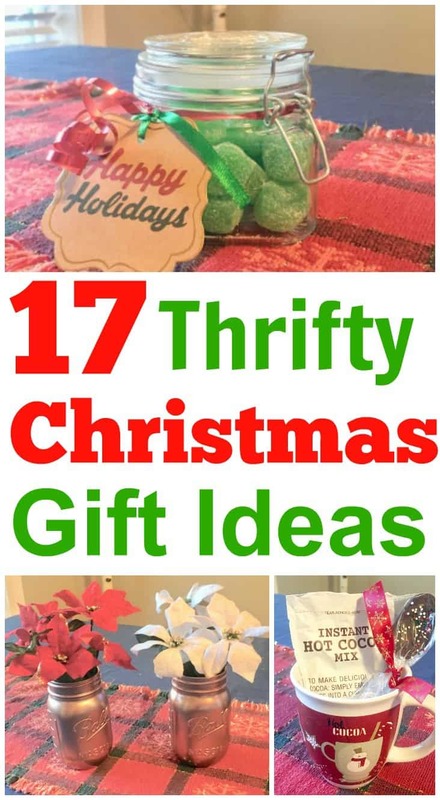 Which is why I came up with this list of thrifty Christmas gifts for you! Luckily we get most of our gifts at flea markets and thrift stores, so it costs A LOT less for us. I wanted to put together this list of gift ideas on a budget for you, because it's totally how we do things. 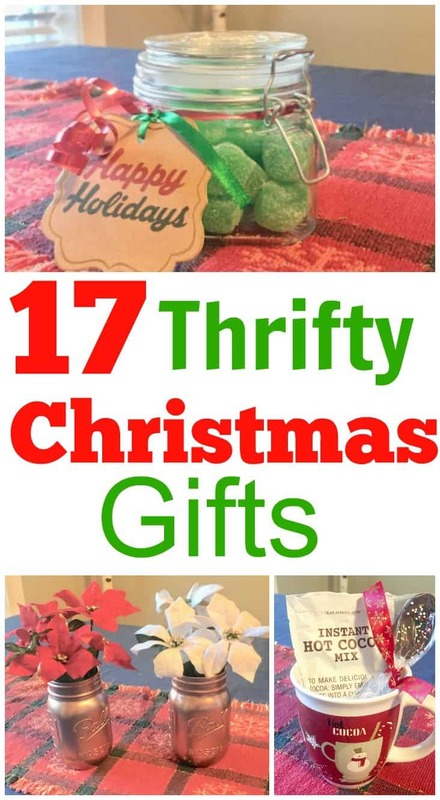 All of the gifts below are a combination of thrift stores, our flea market, and the dollar store finds or creations. 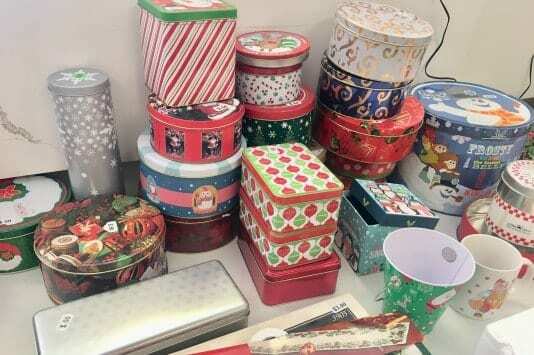 And the best part is more than half of these thrifty Christmas gifts are under $10! Christmas and hot chocolate go together. Even here in Florida! (It's currently 40 degrees out, but it might be 80 tomorrow). So many thrift stores have super cute coffee mugs for cheap. I found these mugs for $1 each, but a thrift store I went to later they were running a special on mugs for $0.10 each! 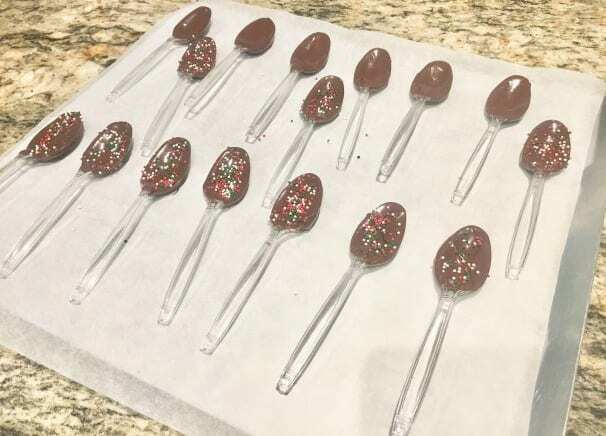 I added a packet of hot chocolate ($0.20), and dipped some plastic spoons in chocolate (super easy and about $.05 per spoon). 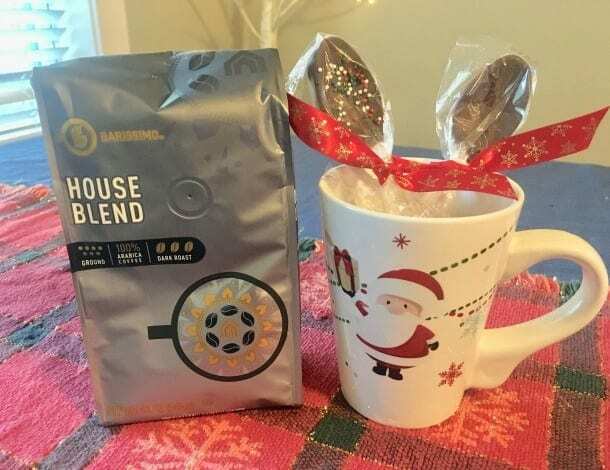 Perfect little gift for only $1.25! This one was similar to the hot chocolate, I just added coffee instead. And two spoons – just because one seemed too empty. This jar was from a thrift store, and I filled it with Rob's favorite pancake recipe. 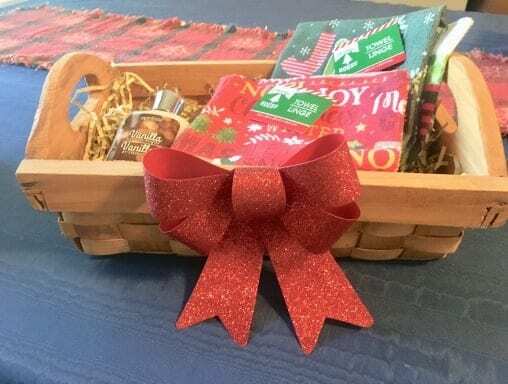 If you are attending a dinner or get together at a friend's house, then this little basket with dish towels and hand lotion is perfect. And for a total of $4.50! The basket was from a thrift store, and the towels and lotion were from the Dollar Store. The bow was a pack of 2 for $1 at the Dollar Store. 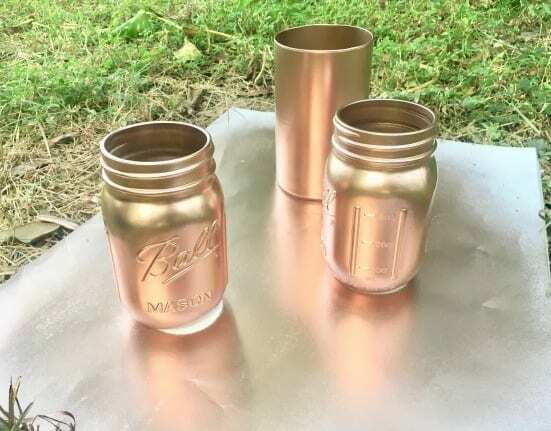 I have found mason jars at thrift stores before for cheap, but sometimes I also buy them at Joann's when I have a 40% off coupon. These ended up being $0.75 each. I tried this rose gold paint for the first time and I'm in love! I'm not the most patient painter, so sometimes when things require a lot of coats it ends up not turning out awesome. This was perfect because it only needed ONE COAT. And they turned out beautiful! 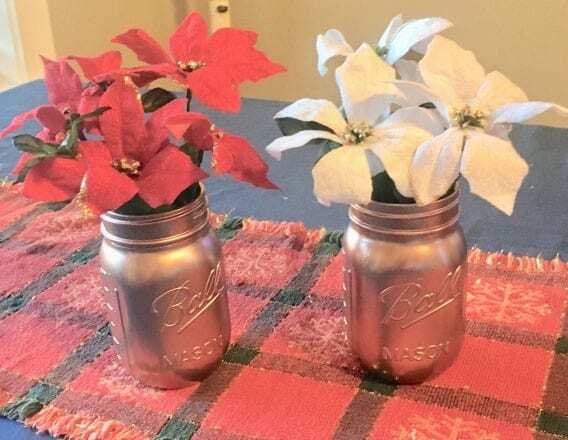 I painted a vase too (that I picked up from a thrift store for $1), but I ended up loving the mason jars more. And it dries fast too! It's always nice to bring a gift for someone who is hosting a Christmas get together. This is quick and only cost $2! These were fake flowers from the Dollar Store, but you could also use real flowers if you prefer. I found this tin at a thrift store for $0.50, and the bath bombs were 3 for $1 at The Dollar Store! I have never seen them that cheap! Bath bombs are usually pretty expensive. I put 9 in this container, so it ended up costing $3.50 total. 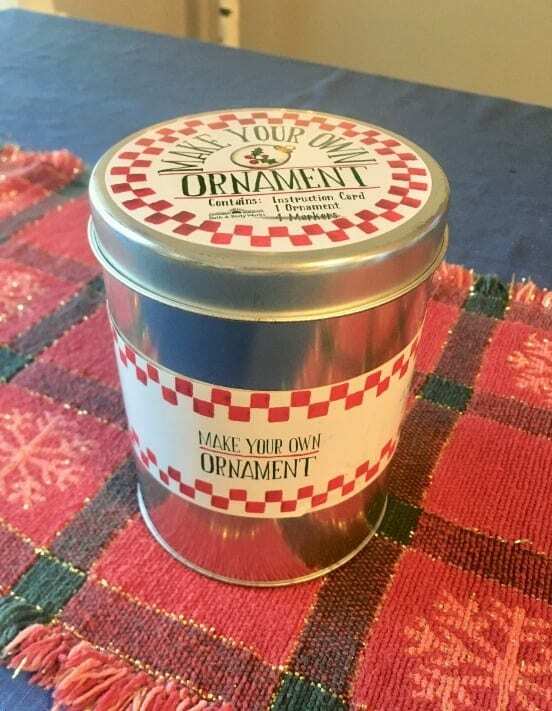 I saw this Bath & Body Works Make Your Own Ornament at our Habitat for Humanity store for only $0.50! It was missing the markers, but that was it. So I bought $1 markers from the dollar store and for $1.50 had a great gift for someone who loves to do crafts with their kid. 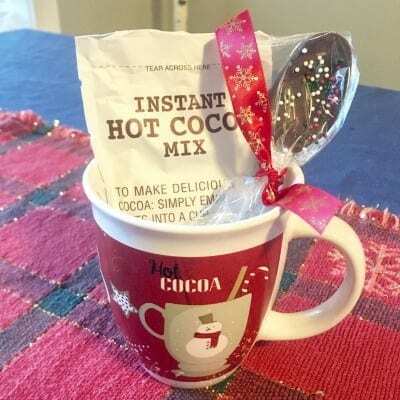 This gift only cost $2.10 and could be a great host gift, or also co-worker/office friend gift. 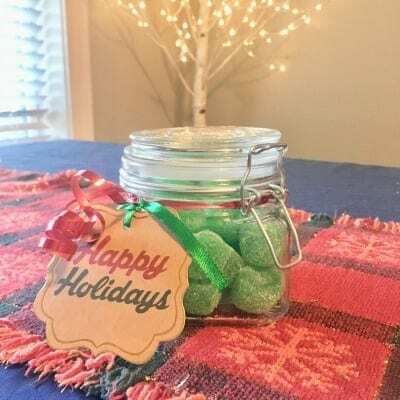 The jar and the candy are from the Dollar Store, and the tag is left over from last year (probably from Joanns with a coupon). 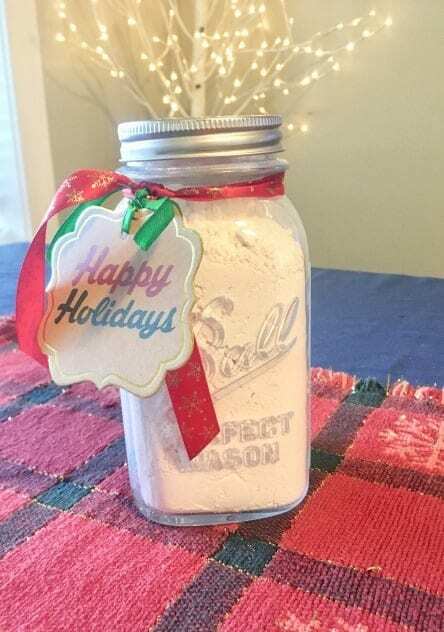 Same jar from the Dollar store, but this time filled with a sugar scrub. 10. For EVERYONE: Christmas Cookies! This is my favorite gift to give. 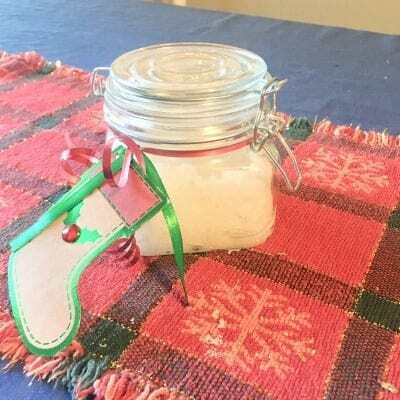 Christmas cookies are a great gift for anyone! These are budget friendly – but they are also time consuming. But SO worth it if you can pull it off. 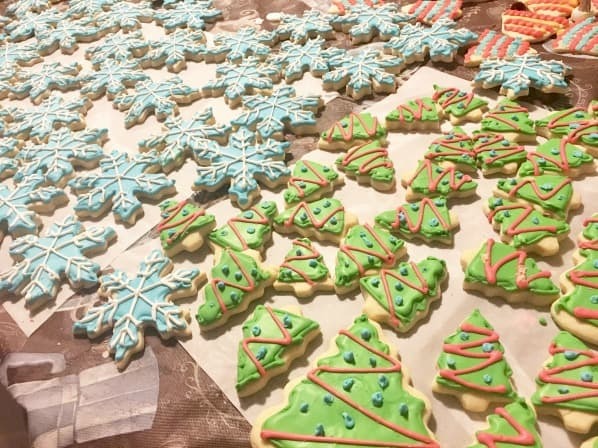 It usually takes me 2-3 nights to make and decorate my Christmas cookies, and they are awesome gifs for friends, teachers, coaches, grandparents, or really anyone! Aside from homemade gifts, thrift stores, flea markets and yard sales have a lot of new things too! 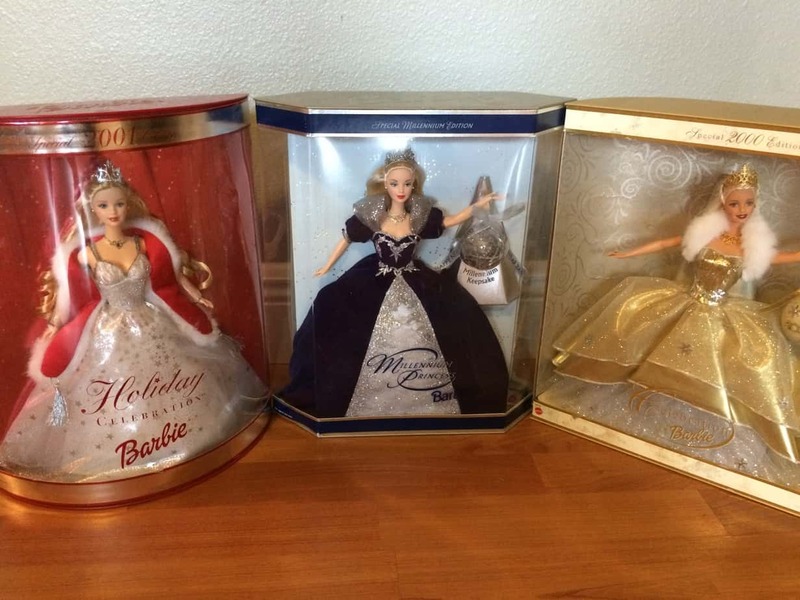 We found someone at the flea market selling new in box barbie dolls for $5 and stocked up on a few! 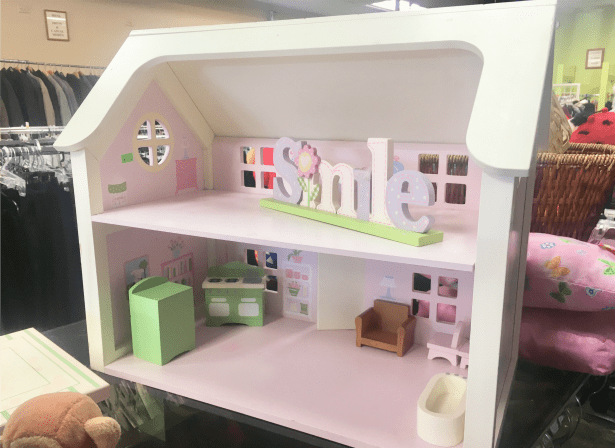 While I was browsing the thrift stores the other day, I saw this solid wood doll-house for $25. I didn't buy it yet, but I may go back and grab it for the girls. There are also plenty of new in the box items for adults as well. Check out this ratchet set that I saw at our local Habitat for Humanity. 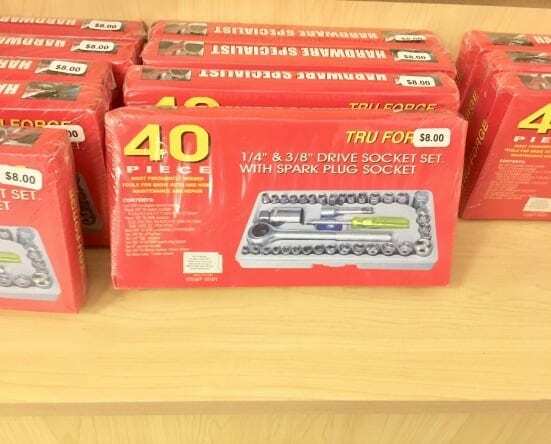 Only $8 and would be a perfect gift for someone who needs tools. 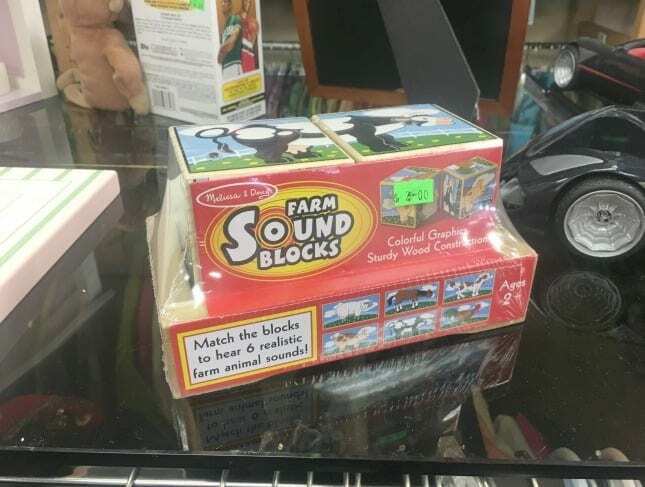 We come across musical instruments all the time for cheap. We have bought and sold several guitars, but could also use them for great thrifty Christmas gifts! 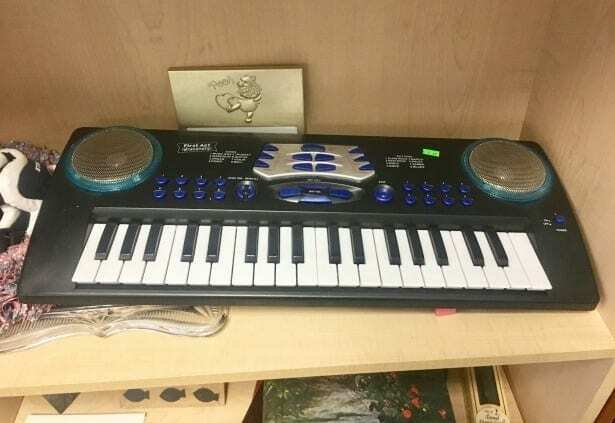 The other day I spotted this keyboard at a thrift store for only $7! It's not a professional one, but would be great for someone getting started. All kids love to drive cars and trucks. 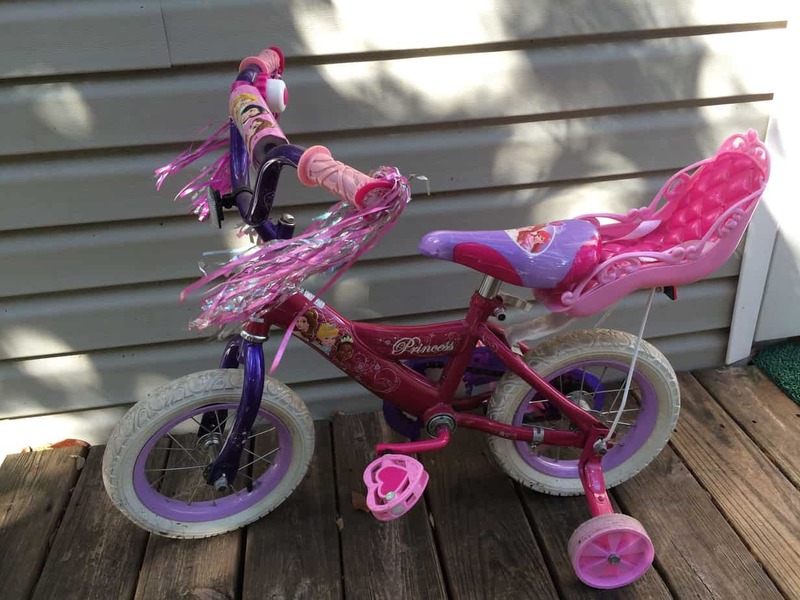 We have bought and sold a lot of Power Wheels and occasionally will keep one for a little while for the kids to play with. We ended up selling the car after the kids played with it for a few months for $150. Bikes are something we never buy new. This one we picked up for only $3 at the flea market! And it was like new! 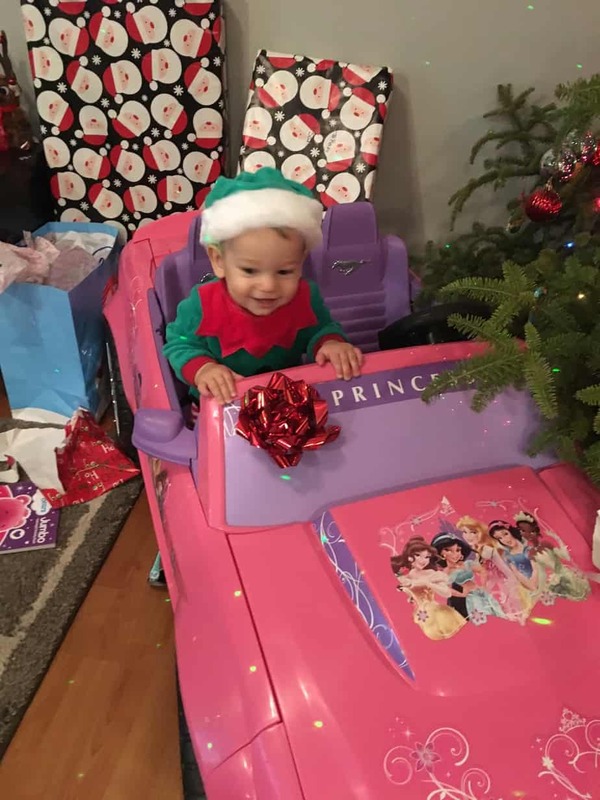 Our daughter rides this thing around everywhere! 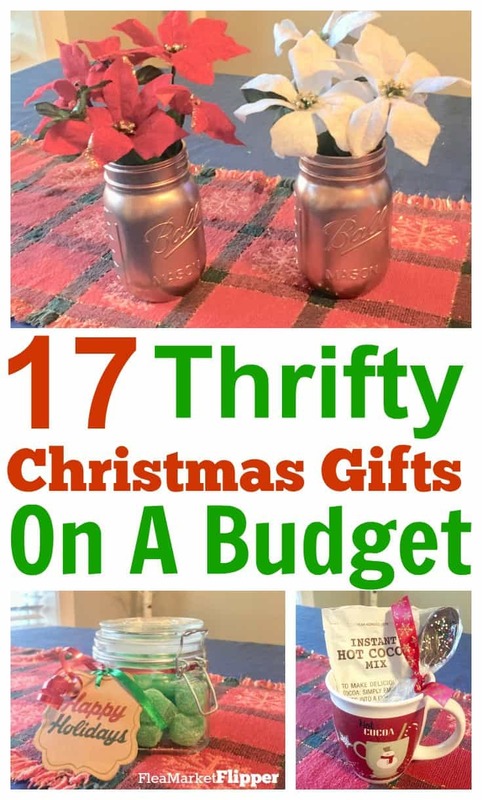 If you love looking for thrifty Christmas gifts, grab our PDF download of 8 Household Items You Should Be Saving Money On If you want to save some money and also keep updated with some of our recent flips and finds. 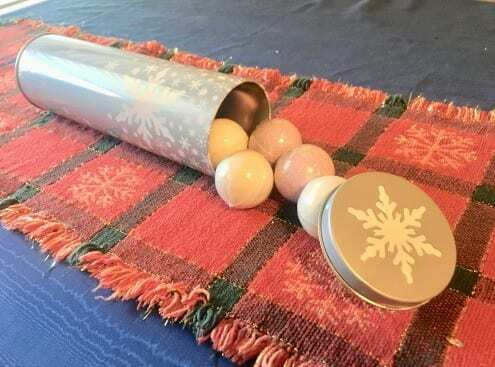 What is your favorite thrifty Christmas idea? Comment below! DIY gifts are the best! I love this! Thank you for these ideas!